There are a lot of personality tests out there designed to label you and put you in a particular box. But Dr. Caroline Leaf says there's much more to you than a personality profile can capture. In fact, you cannot be categorized! 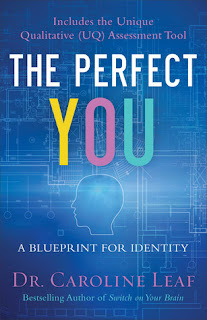 In this fascinating book, she takes readers through seven steps to rediscover and unlock their unique I-Factor--the brilliantly original way each person thinks, feels, relates, and makes choices--freeing them from comparison, envy, and jealousy, which destroy brain tissue. Readers learn to be aware of what's going on in their own minds and bodies, to lean in to their own experience rather than trying to forcefully change it, and to redefine what success means to them. Released from the suffocating box of expectations, they'll embrace their true identity and develop a clear sense of divine purpose in their lives. Knowing and understanding our identity empowers our choices. Unlocking one's I-Factor is not optional--it is essential. Dr. Caroline Leaf is one of my favorite authors. I don't always understand everything about Quantum phyics, neuroplasticity, neurogenesis and epigenitics in somewhat easy to understand way. I love what she has to say about changing your mind, which changes your thinking and DNA. One of my favorite quotes in the book is " it is important to remember that our thinking changes the structure of our brains because our minds are separate separate from our brains." In " The Perfect You" Dr. Leaf has yet again published another amazing book about how we can live out our perfect blueprint of the person that God has called us to be. This book gives you the principles and tools to discover the way God created you to be and then live it out! Thank you to the publisher for providing me a copy. I highly recommend this book and give it 5/5 stars. 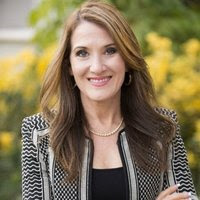 She has published numerous articles in academic journals and consumer magazines and has been widely interviewed in newspapers, on radio shows, and on television shows about her research and theories. She has her own weekly TV show called "Switch On Your Brain" airing on TBN.